Keep your pond water clean and clear year-round! 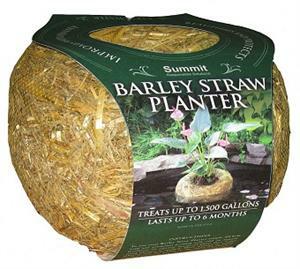 Clear-Water Barley Straw Clarifiers are easy to use, safe and attractive. Clear your pond, fountain and fish tank naturally! 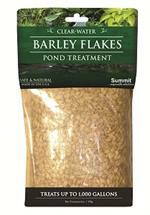 Acts as a natural filter to keep your pond clean and clear. Wont harm fish or plants. Works up to 6 months. Fashioned into an attractive, floating showcase for non-submerged aquatic plants, these barley planters are safe for fish and other pets and wildlife, and provide the water clarification benefits of our barley straw bales. Your Price: product unavailable for now, sorry.